In my estimation, the old time radio (OTR) genre is home to some of the finest entertainment on the planet. For those unfamiliar with the history of OTR, all you have to really know is that people once sat around their radios like we sit around our televisions today. In fact, OTR was the source for broadcast entertainment from the 1920s through the early 1950s when television showed up and replaced the radio as the box people gathered around for news, entertainment, sports, etc. The point of all this rambling is simply this — OTR is still darn entertaining and there were some programs that focused on the legal profession. Yes, we’ll concentrate on those law and order type programs on this site as that only seems appropriate. 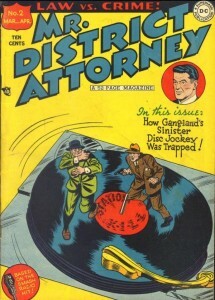 We’ll kick off this irregular series, then, with an episode of Mr. District Attorney. 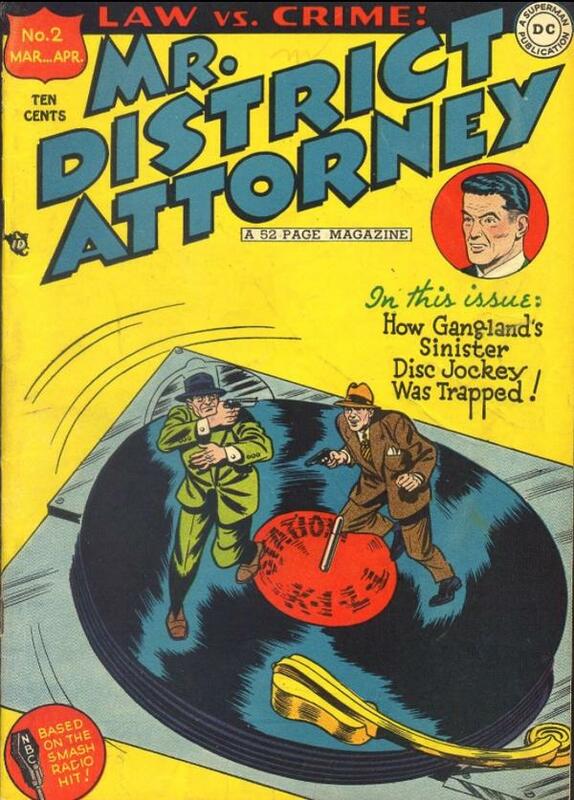 That one started off life as Mister District Attorney on the radio in 1952, but was more successful as a television series (a lot of OTR programs made the leap to television in the early days) and as a comic book. I’ve got 10 episodes of Mr. District Attorney downloaded and will post them from time to time. For those curious about the legality of posting those programs, it is quite clear that those episodes fell into the public domain years ago so there appears to be no chance of a copyright problem. So, click the below player, kick back and enjoy the program.